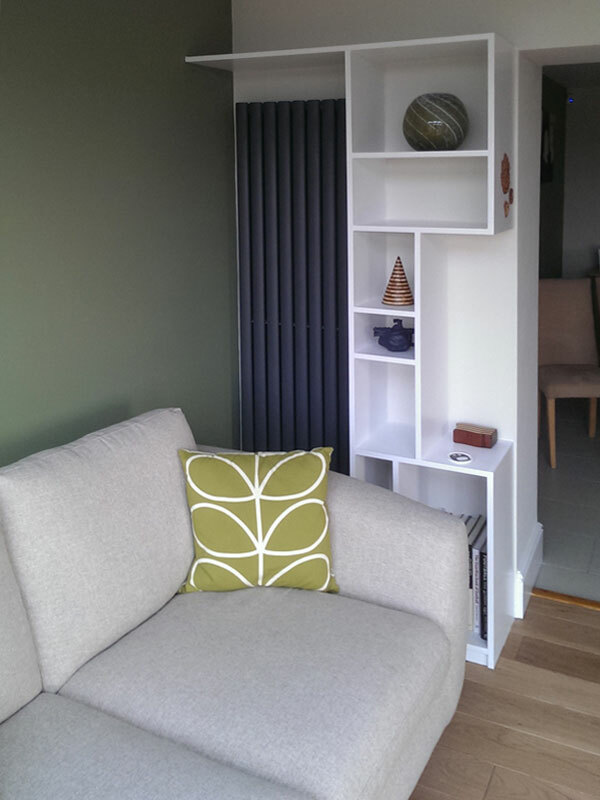 A contemporary conservatory maybe; several solutions were explored that would complement the original house yet create something a little bit different. 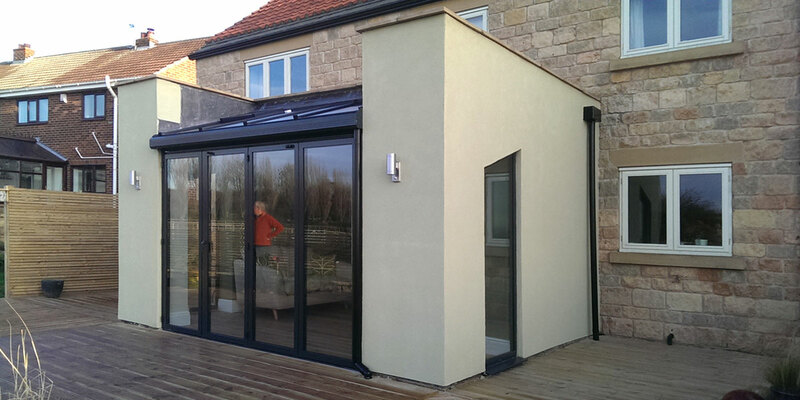 A leaf coloured render and glass combine to set the extension into its countryside setting. DSA will consider the internals of even the smallest projects. 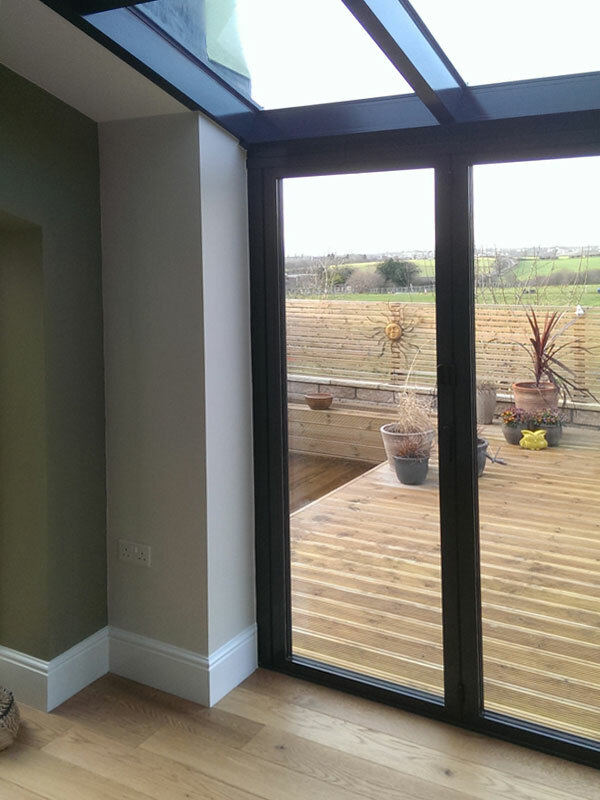 High specification aluminium bi fold doors and roof glazing.